West Haven Rep. Dorinda Borer, who co-chairs the committee with Sen. Paul. Formica. Lucy Gellman Photos. Increase tourism funding with money that’s already coming in. Use a mix of private and state dollars to build jobs in arts and culture. 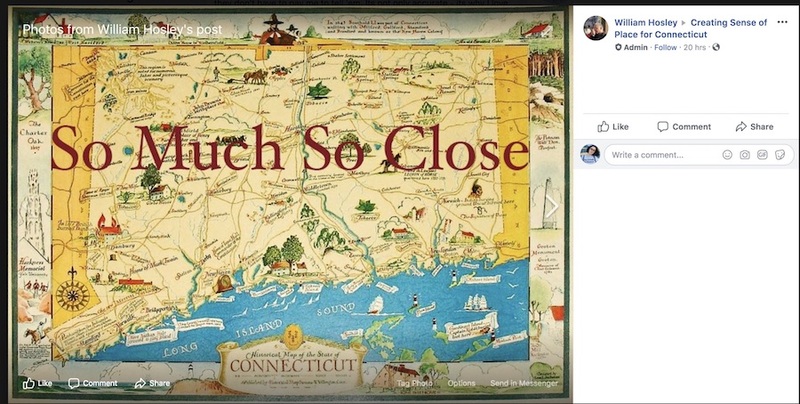 And don’t make Connecticut still revolutionary—just make it a place people want to visit. That pitch came to the state capitol Wednesday afternoon, as members of the Lamont/Bysiewicz Arts, Culture, and Tourism (ACT) Transition Policy Committee presented to the Connecticut Tourism Caucus, a bipartisan group of state legislators that propose and advocate for legislation that supports tourism funding in the state. The caucus is chaired by State Sen. Paul Formica, a Republican representing Bozrah, East Lyme, Montville, New London, Old Lyme, Old Saybrook, Salem, and Waterford. It is now in its fourth year back after a long hiatus. 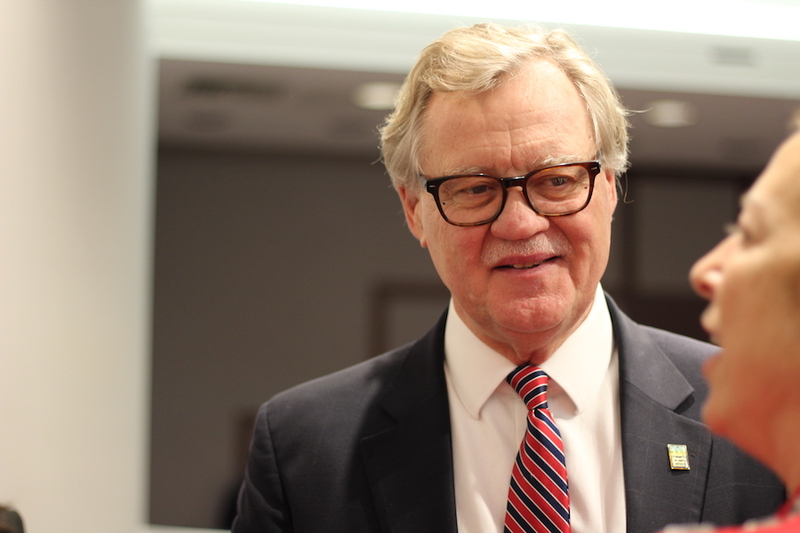 Committee members, who ended their formal duties earlier this month but have still been meeting, are asking the caucus to change its name to the Arts, Culture, and Tourism Caucus, a move they hope will reflect more legislation that is pro-arts and culture. 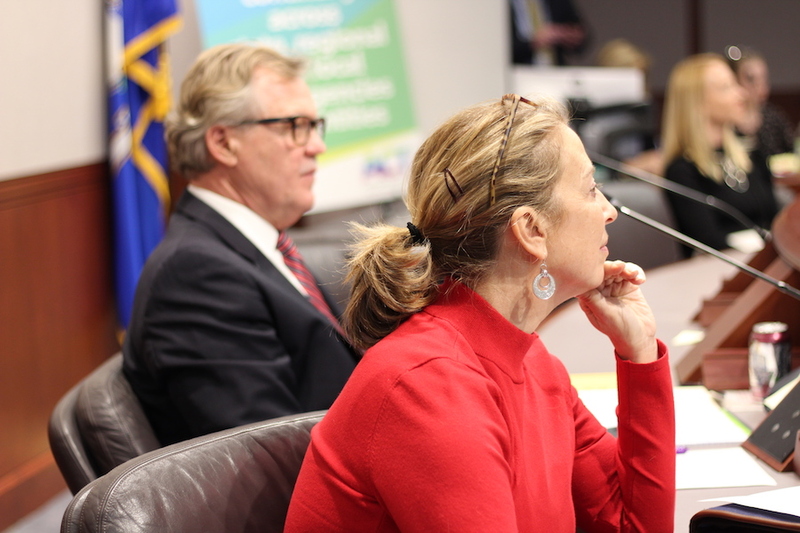 Currently, tourism brings about $15 billion in sales into the state, a number that ACT committee members suggested is far lower than it could be with more pro-arts and culture legislation. Wednesday, several positioned it as a way to create jobs, drive economic development, and raise the profile of Connecticut from the convenient midpoint between New York to Massachusetts to a cultural gem, packed with centuries of history and rich arts attractions. As they did a month ago at the Goodspeed Opera House in East Haddam, team members first presented a pared down version of five policy recommendations to the caucus (they are now publicly available online), honing in on the state’s tourism fund and the creation of a Cultural Facilities Fund (CFF) that . The initial list, after which ACT committee members met with the incoming administration, included nine recommendations. At the forefront is a proposed increase in the percentage of the state’s lodging tax—the highest in the country, followed narrowly by Washington D.C. and the Virgin Islands—that goes into the state’s Tourism Fund each year. Currently, that number sits at 10 percent. The committee recommended bringing it to 25 percent. Under the new model, which would require legislation before passing into effect—that’s where the caucus comes in—40 percent of the fund would go to arts and culture, and 60 percent to tourism. Committee members project that the reallocation will raise the state’s tourism budget from $4.1 million to $31.5 million per year. Caucus members also showed interest in proposals to institute a new Cultural Facilities Fund (CFF), an arts pipeline to job growth that has an analogue just across the border in Massachusetts. Since its creation 10 years ago, the fund has awarded over $100 million in grants to almost 900 cultural projects, while creating thousands of jobs and bringing in millions of tourists (find out more about it here). 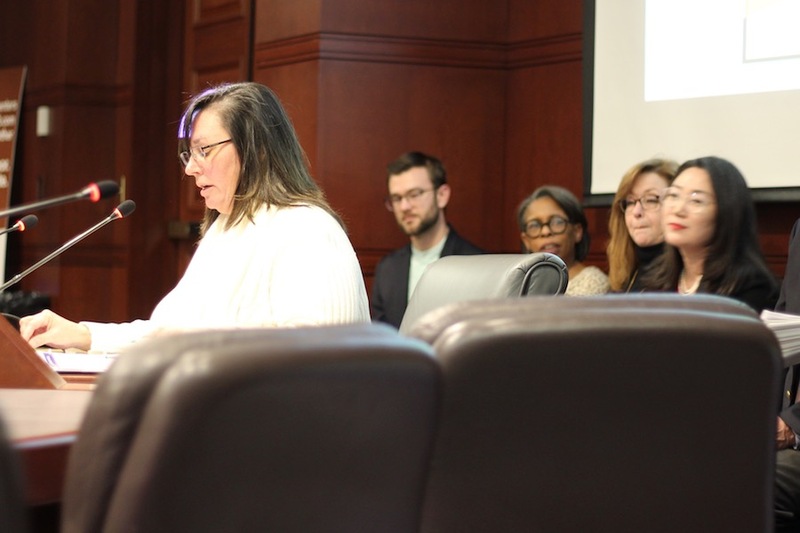 As they listened, legislators voiced their support for the name change and policy proposals, which Formica said will be revisited at the caucus’ next meeting (potential new members will also be announced at that meeting). Coming from all corners of the state, all of them took time to describe cultural pillars in their community—from the the Thames River Heritage Park in New London to the recently reopened Old Newgate Prison in East Granby. Kneeling down in the absence of a chair, Stratford Rep. Joe Gresco praised the proposed name change, noting a communal pain that Stratford is experiencing in the wake of a sweeping fire at the Shakespeare Theatre in Stratford last weekend. It’s exactly the kind of project that a Cultural Facilities fund would have been good for, said Bury. Wednesday, the caucus’ formal title was not the only name under debate. 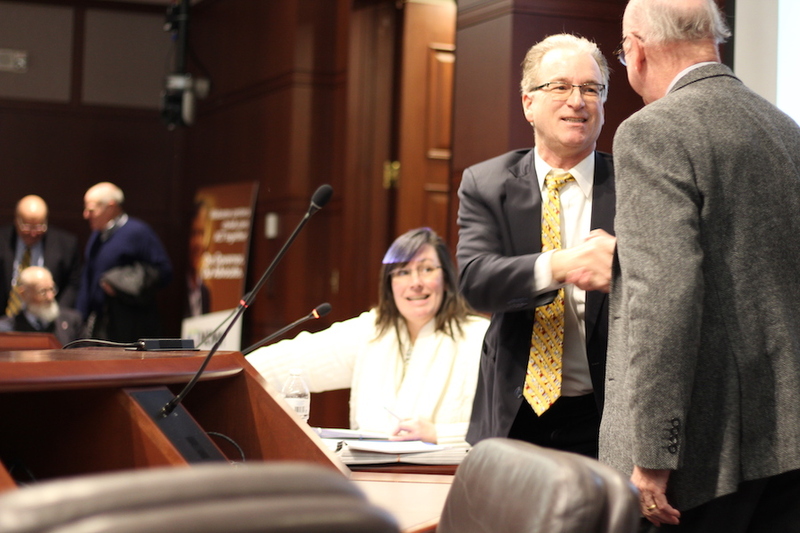 While giving feedback to the policy points that the committee had presented, several state legislators expressed concern with the state’s tourism slogan, “Connecticut: Still Revolutionary,” asking if that too might change. The slogan has been a project through the Department of Economic and Community Development (DECD), under which the state’s Office of Tourism lives. In 2012, members of DECD worked with St. Louis-based marketing firm FleishmanHillard, which refers to the motto as “a mantra that proudly celebrates Connecticut’s spirit of independence and innovation” on its website. Despite the firm’s claims that “Still Revolutionary”—which overlooks the fact that Connecticut was actually full of British sympathizers and not so excited about the Revolutionary War—“drove $161 million in additional revenue, and increased awareness of Connecticut as a place to visit,” legislators maintained that the slogan had always fallen a little flat for them, or not quite seemed to fit the state. From there, the floor opened to a slew of criticisms of the slogan. Dillon, who grew up in New York (a far more revolutionary state, historically) said she never got the idea that the “revolutionary” attribution was tied to specific destinations or sites in the state. To watch, click on the video below.